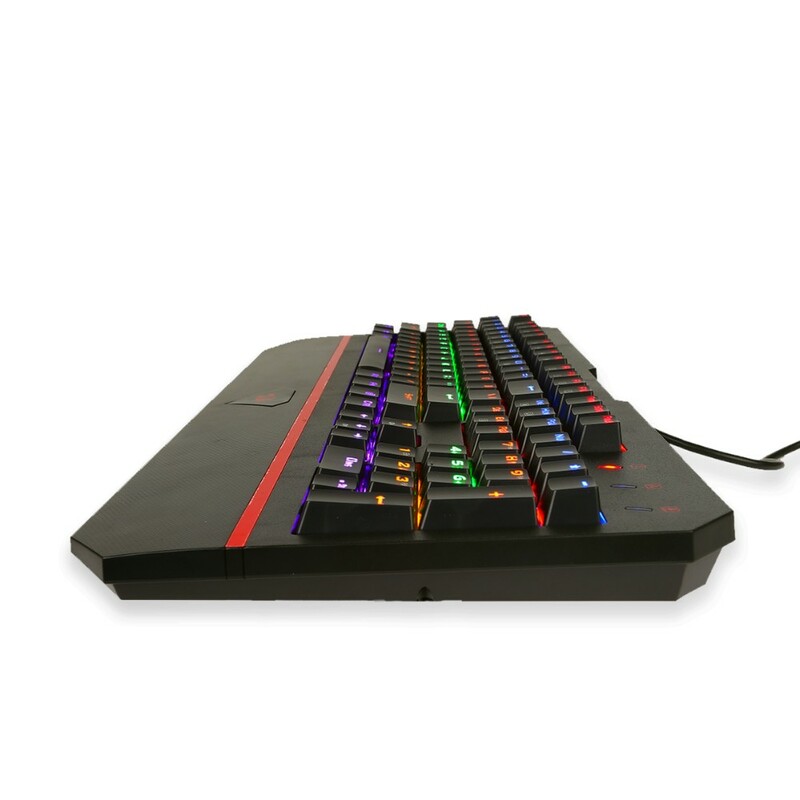 The K558 ANALA rainbow mechanical gaming keyboard is over-engineered and built to take a beating with the features including heavy duty aluminum and ABS construction, plate mounted keys, double-shot injection molded keycaps, high-end switches with mechanical ultra-last springs, crisp and bright LED backlighting, and a splash-resistant design. 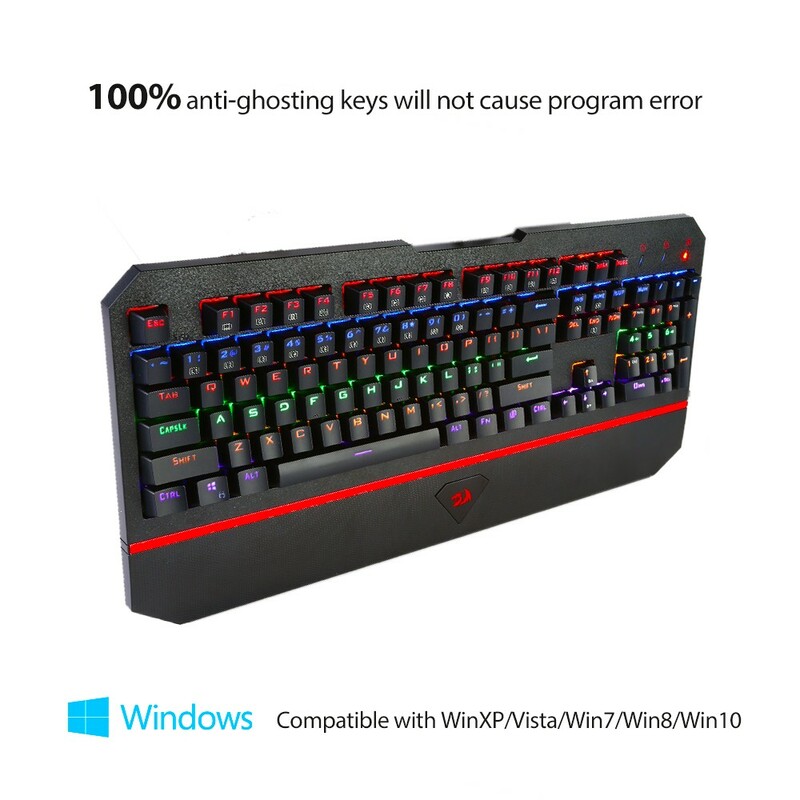 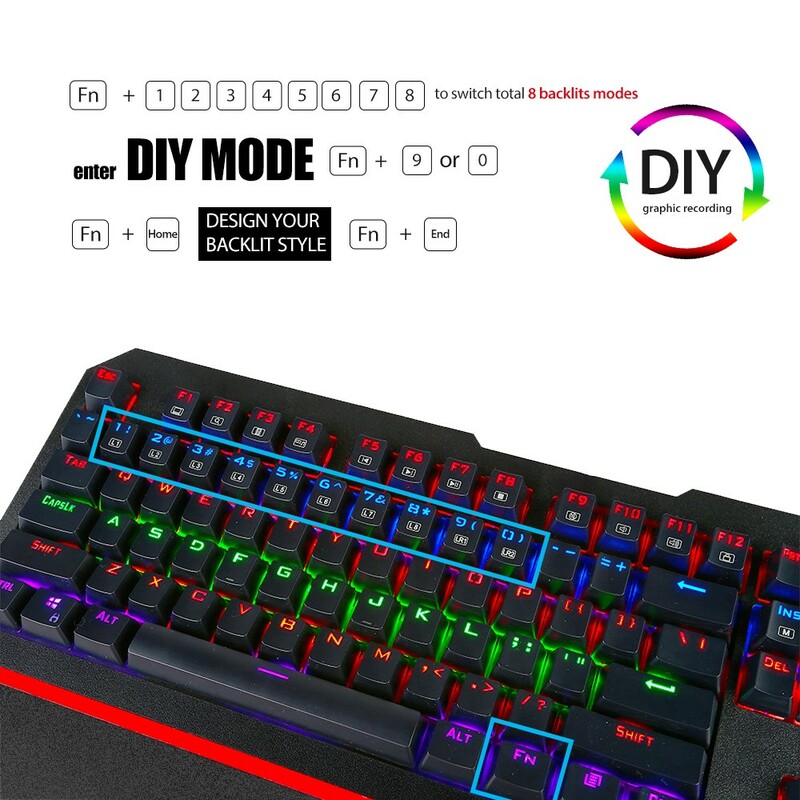 ANTI-GHOSTING 104 KEYS RGB mechanical keyboard. 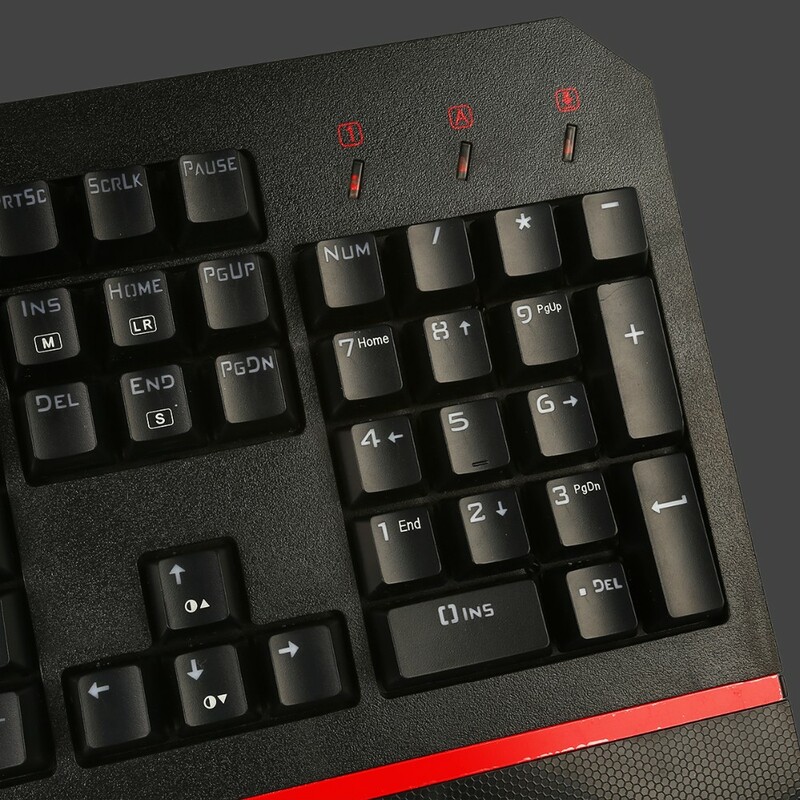 N-KEY ROLLOVER: it allows player simultaneously operate multiple keys. 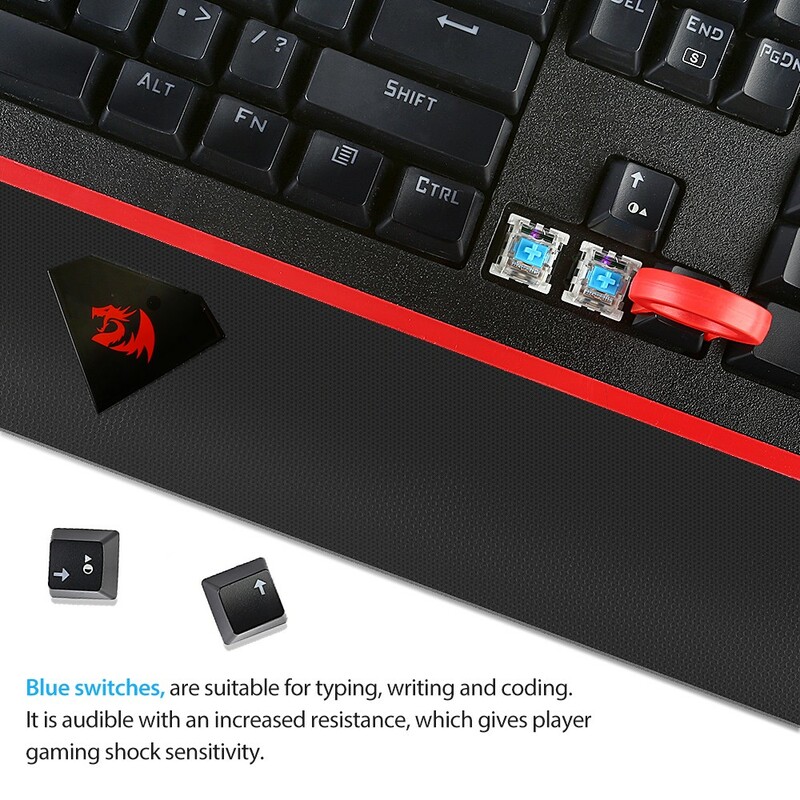 The mechanical keyboard is constructed with floating keys, blue switches (OUTEMU switch). 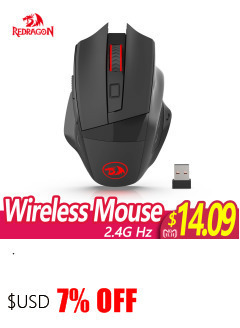 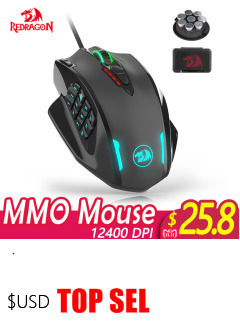 It gives player high-grade games experience with fast response. 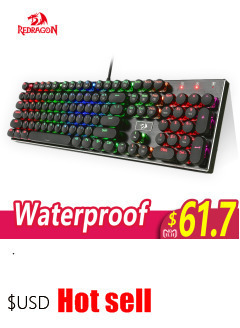 Excellent water and Dust Proof with 104 floating keys. 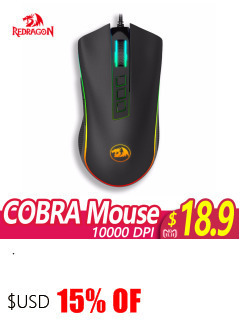 Water-resistant with five drain holes. 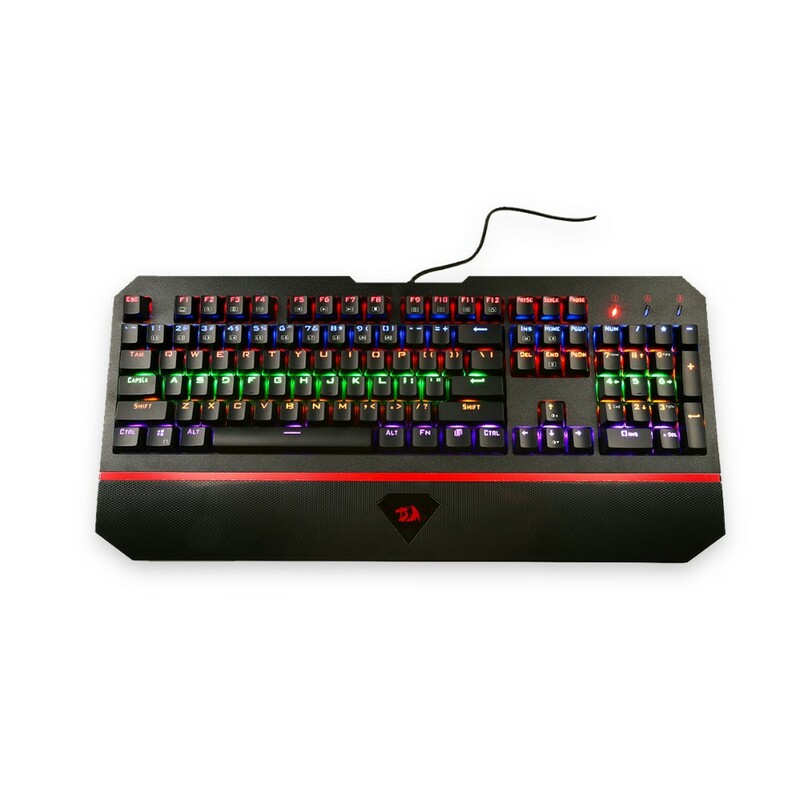 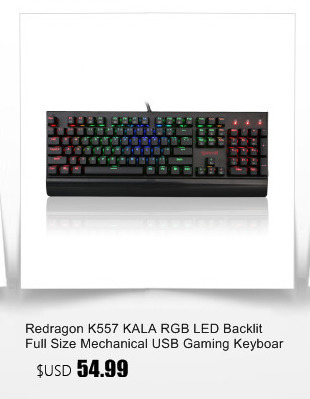 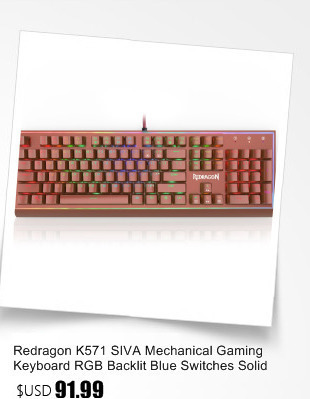 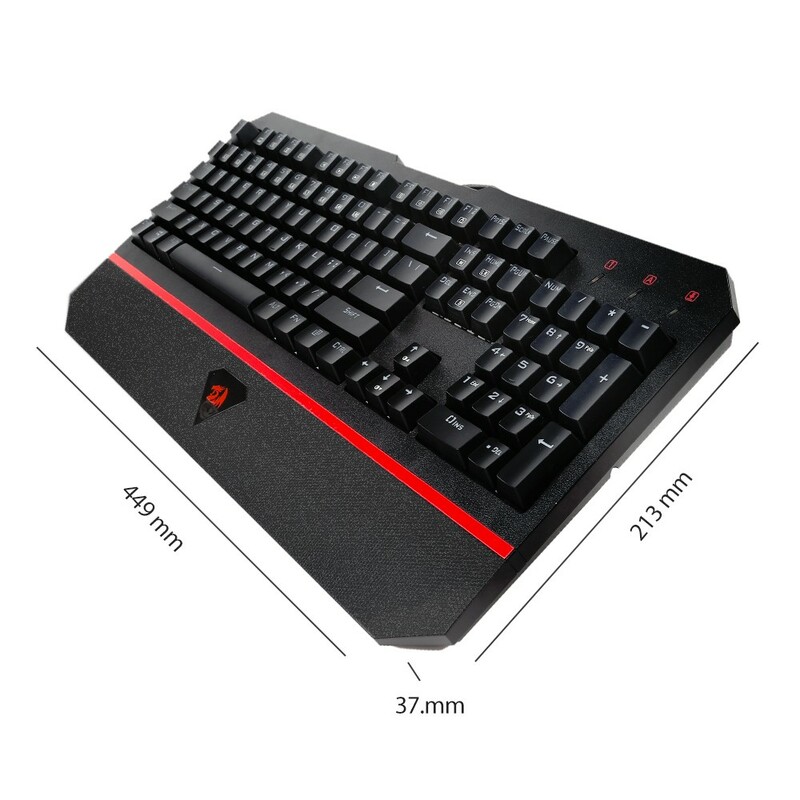 Amazing typing background color: K558 comes with 9 different backlight gaming models. 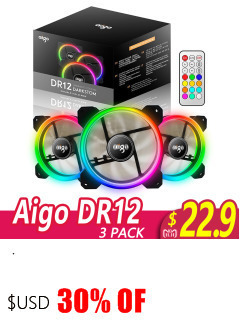 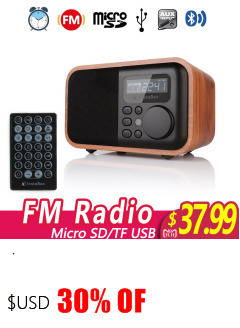 Player can alter different gaming light model via FN+ “1”to“9”to realize it. 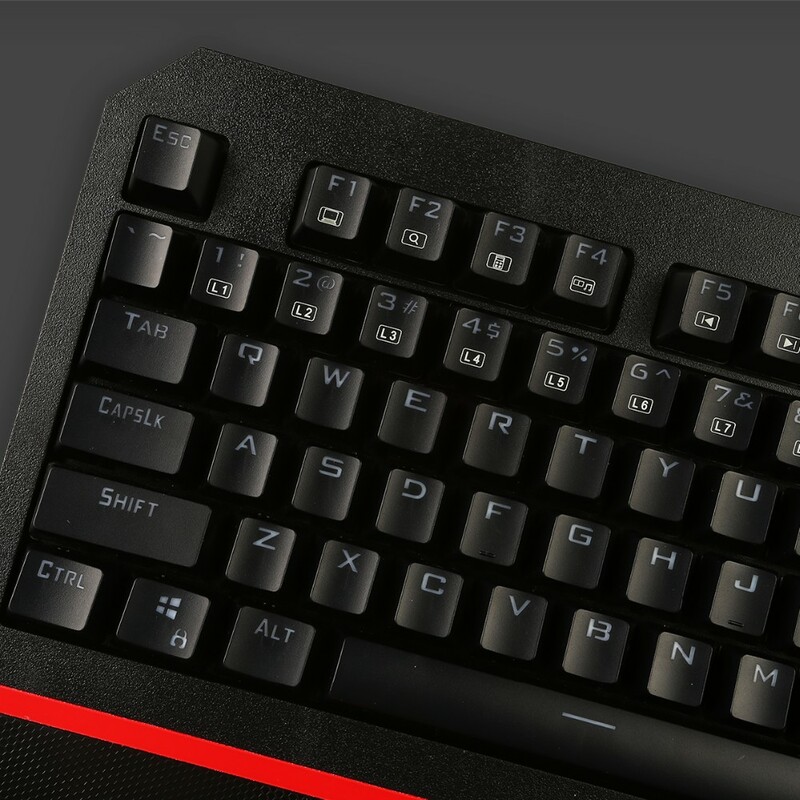 Lock / unlock function for WINDOWS key to avoid miss clicks / distractions during gaming. 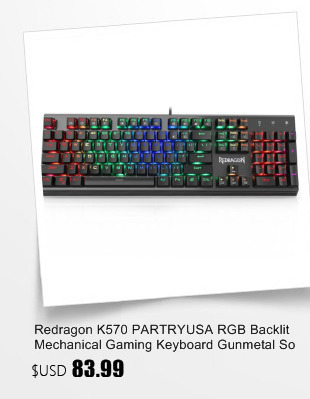 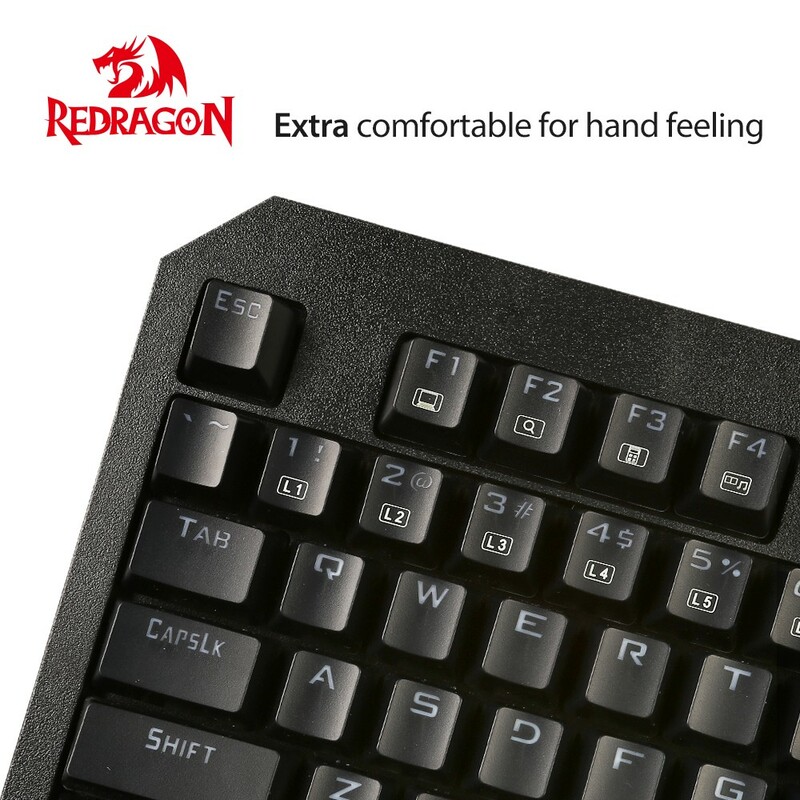 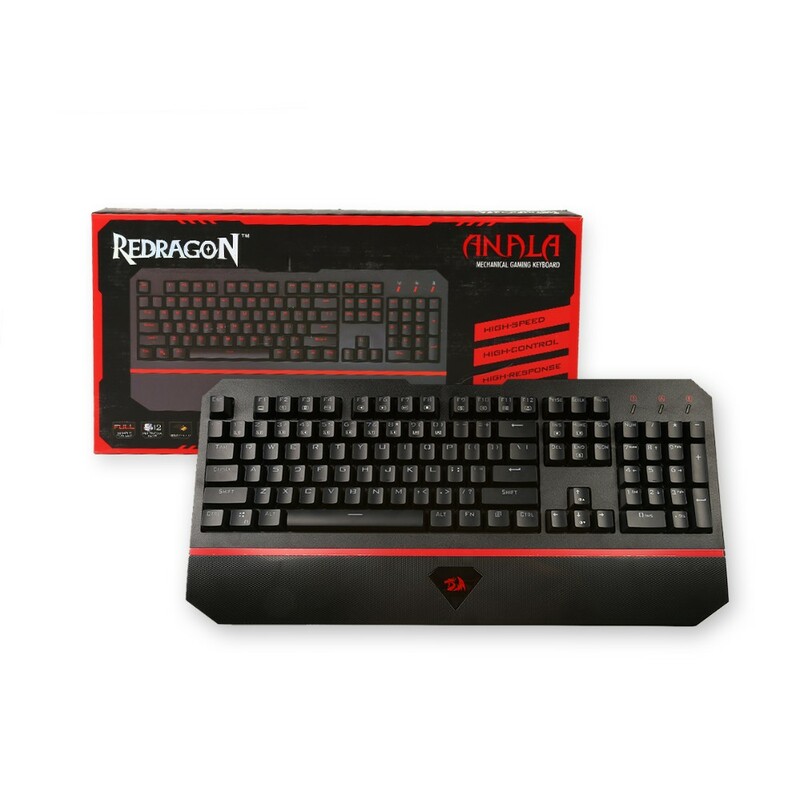 Redragon mechanical gaming keyboard comes with blue switch and ultra-long working durability, Ergonomic design fits for all gamers. 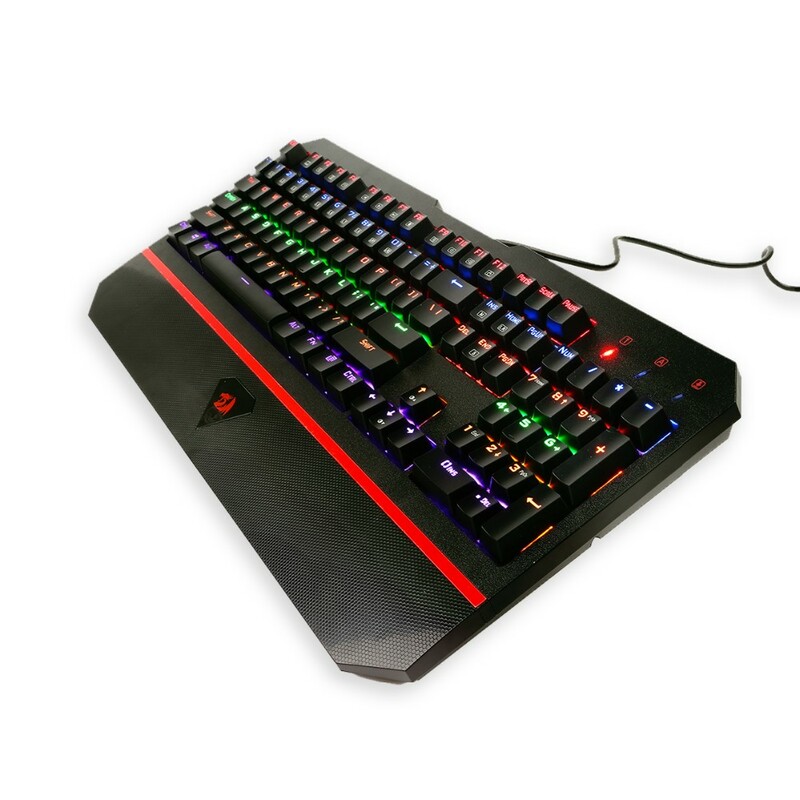 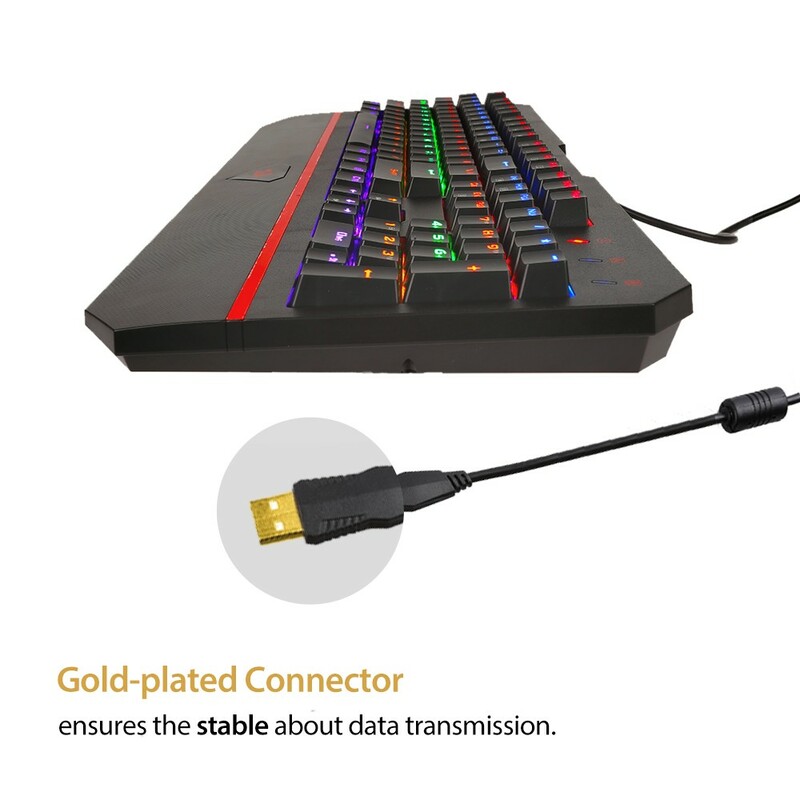 The ANALA Gaming Keyboard is a fully mechanical with single RGB LED backlight keyboard that's special designed for game players. 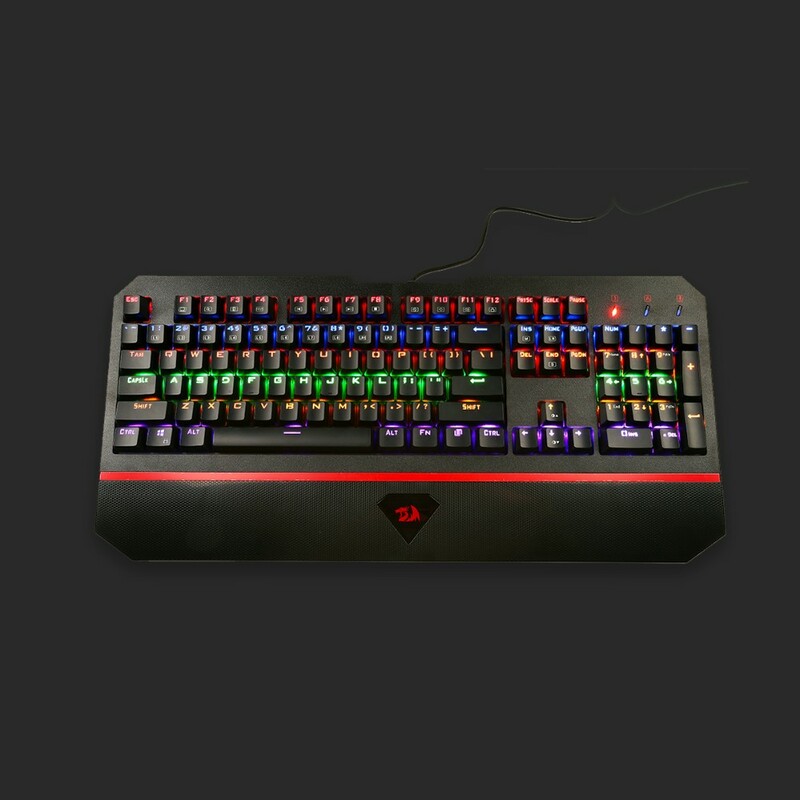 The built-in Mechanical blue switches deliver ultra-fast double linear response and incomparable gaming experience for players. 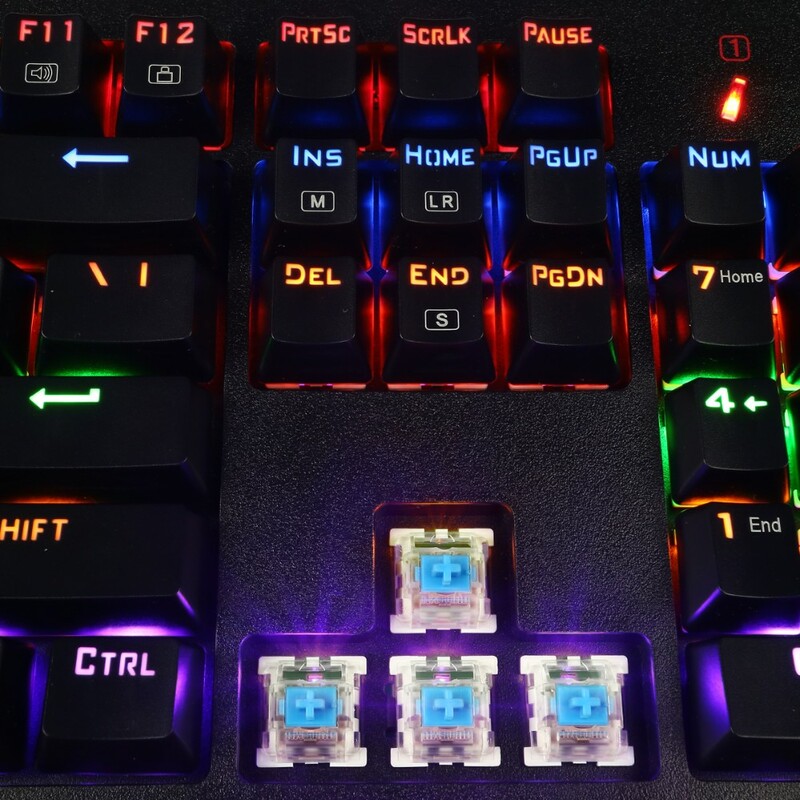 Profession mechanical switches deliver amazing execution—every single keycaps are control by individual blue switches. 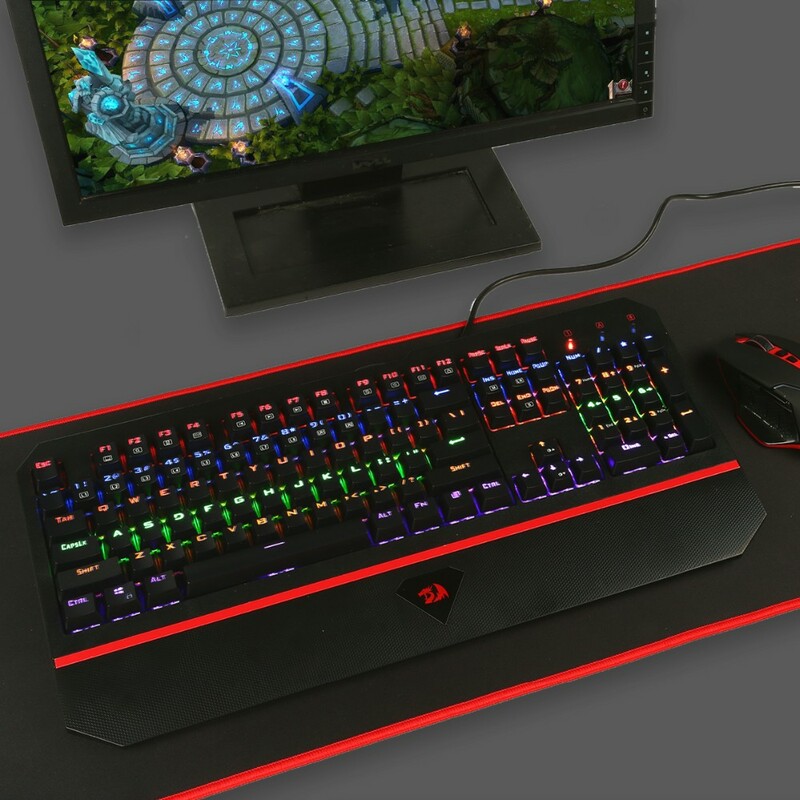 As a result, player can execute every command as fast as player press without program error. 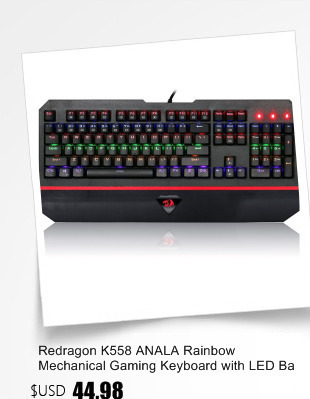 Additional, ANALA owns incredible 50 million keypress. 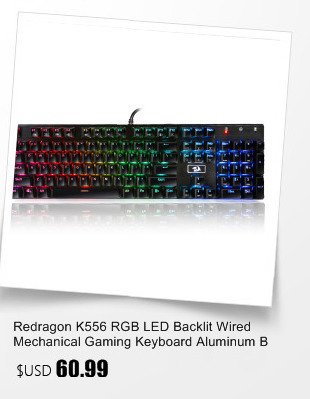 That is why Redragon always become the best. 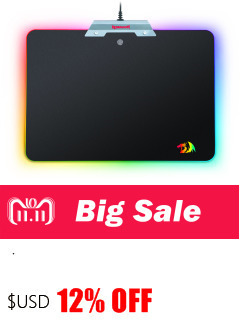 We will delievery the goods by China Post mail,PostNL mail,Singapore Post,etc other postmail,and if not particular remarked,we will choose the best one according to your address.It usually takes15~35days to reach you there,but we don't guarantee the exact delievery time on your shippments,due to diffferences in custom clearing times in individual countries,which may affect how fast your parcel will be inspected and passed. 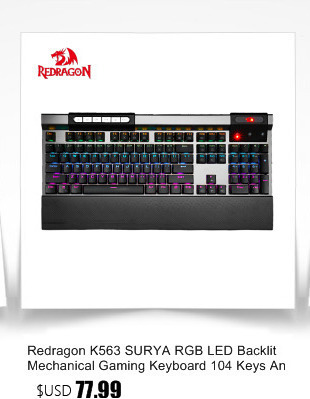 Please note that buyers are responsible for your local custom charges and taxes.